Photo: courtesy of Broken Hill Regional Art Gallery. In writing any article about Badger Bates it would be easy to be distracted by his other-than-art activities. Elder of the Paakantji group, he’s been a pro-active land-rights campaigner for Mutawintji National Park, an activist for the protection of significant sites against mining and agricultural degradation, an advocate for the children of Wilcannia, and long-time heritage officer with the National Parks and Wildlife Service. But to look at these activities outside his lifelong artistic endeavours would be to see only half the story. 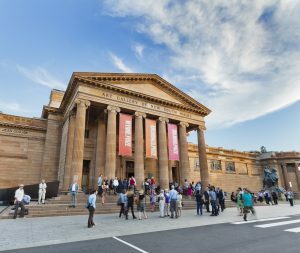 Likewise, to regard Bates as simply an artist and master carver–albeit one with work in collection in major institutions like the Art Gallery of NSW, the Australian Museum, and the Broken Hill Regional Gallery–would also give an incomplete impression of the man. Like many Aboriginal artists, Badger Bates has played many roles in his community. Growing up in a hut on the banks of the Darling River, Bates’s maternal grandmother taught him to carve and make wooden objects using traditional methods. Granny Moisey kept him out of the clutches of the “Welfare people” lest he be sent to the Missions with the other children, by sending him to relatives in Queensland, and anointing him with emu oil and setting him in the sun to darken; a strategy dependent on the preference for collecting up the light-skinned children as primary fodder for the now-called “Stolen Generations”. it’s with deep love and affection for his grandmother that Bates ‘channels’ her and her people into his art. 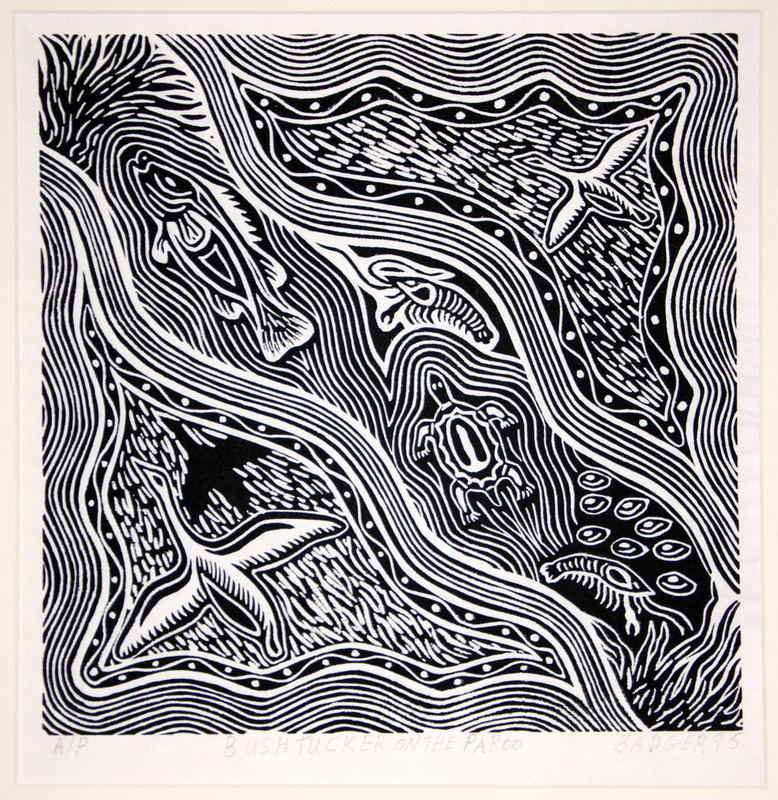 Along with depictions of ripples of tide and river currents, Bates’s prints characterise the habits and nuances of the wildlife which abounded his Home country and the Darling River. A keen observer of nature he exploits the minutiae of this knowledge in his carving, evident in the eight carved emu eggs at the Australian Museum and in Turru Yarilana (Snakes Mating) in Menagerie: Contemporary Indigenous Sculpture commissioned by Object, Australian Design Centre. Able to turn his hand to most art making Bates also works in stone, metal and found objects. 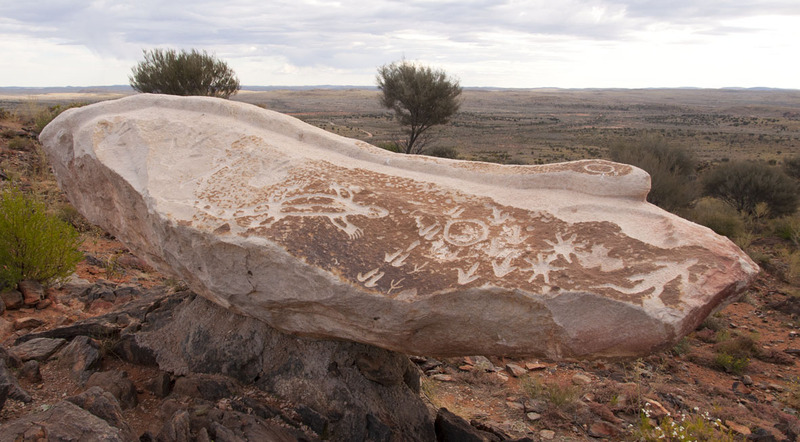 Nhatji (Rainbow Serpent) a large carved boulder of Wilcannia sandstone granite is featured in the Living Desert Sculpture Trail, a flora and fauna sanctuary just out of Broken Hill in the Barrier Ranges. 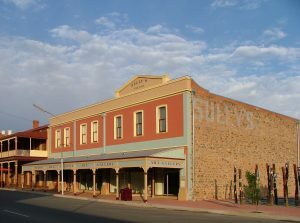 Badger Bates lived in nearby Broken Hill for much of his working life, a town with a diverse mix of cultures– Afghans, Chinese, Scots, and Irish had, from the 1880s, variously moved inland to support the fledging mining town. This multi-ethnic community has influenced Bates political view: “My father was white and my mother was black, that’s why I don’t care about the politics. We’re all Australians. We’ve got to accept each other.” This attitude which he directly translated into the design for The Reconciliation Stone, (Kinchega National Park, 2006) perhaps best summarises Badgers Bates’s life’s ambition and attitudes. 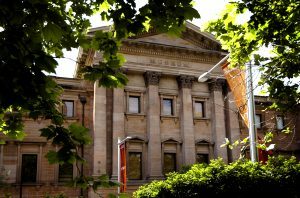 Editor’s note: Thanks to Catherine Farry at Broken Hill Regional Art Gallery who liaised with the artist on our behalf.